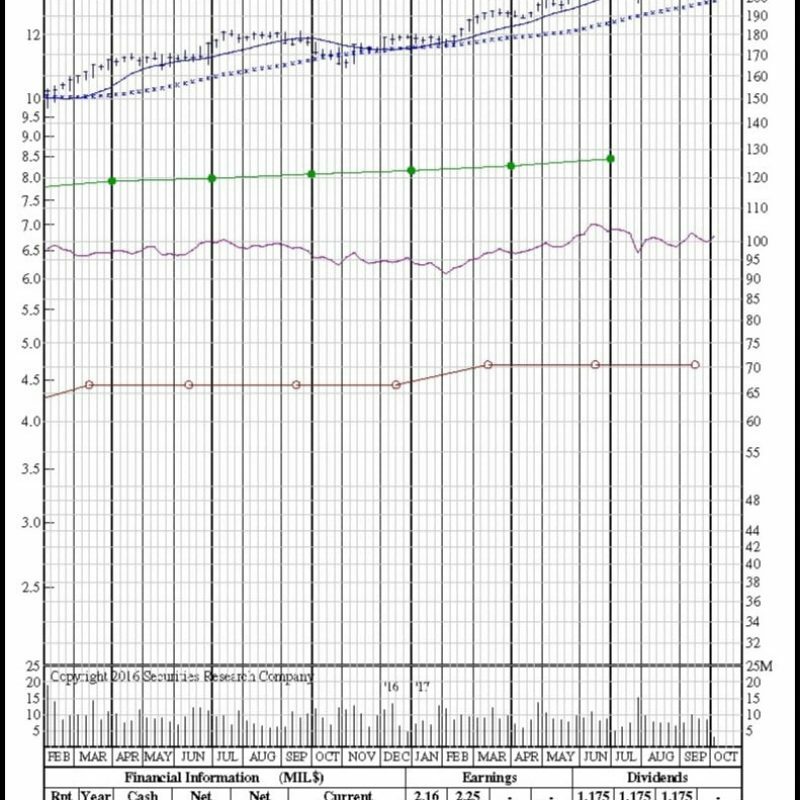 ChartScreen. 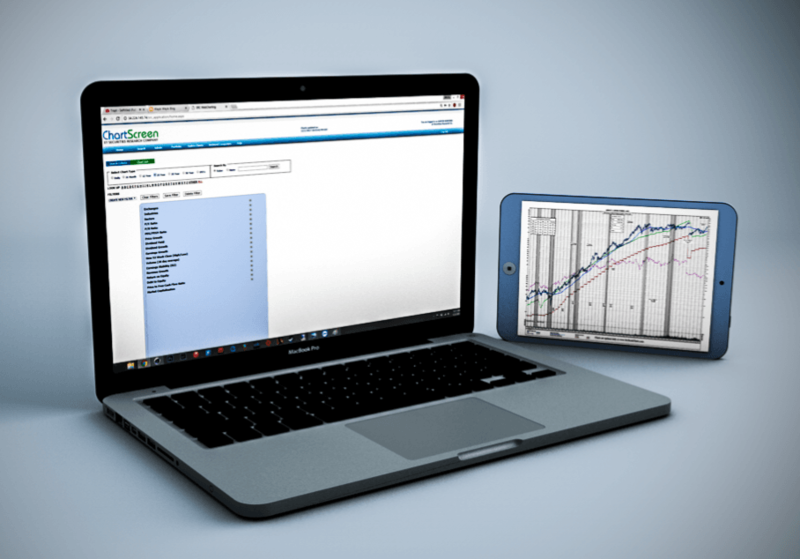 SRC’s Online Stock Research Service. 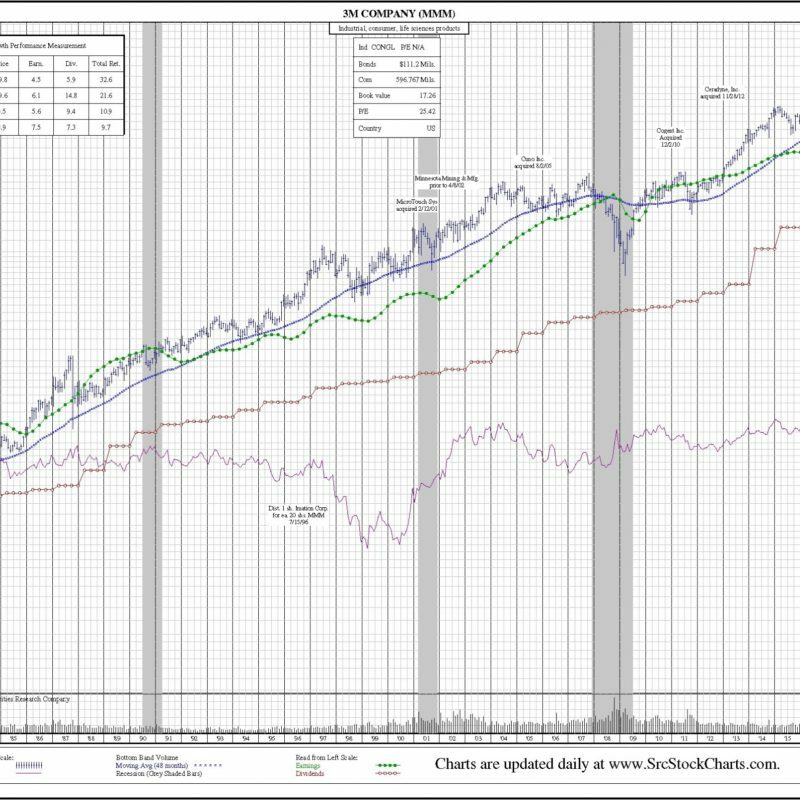 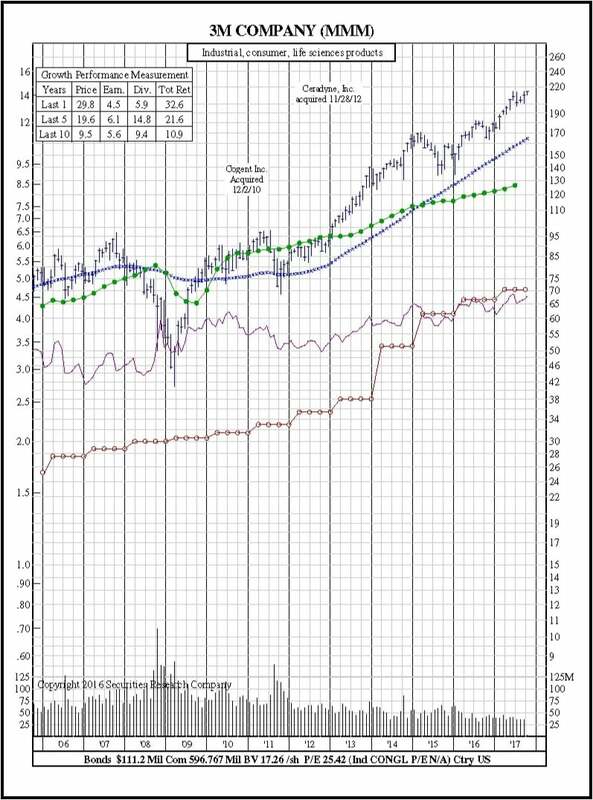 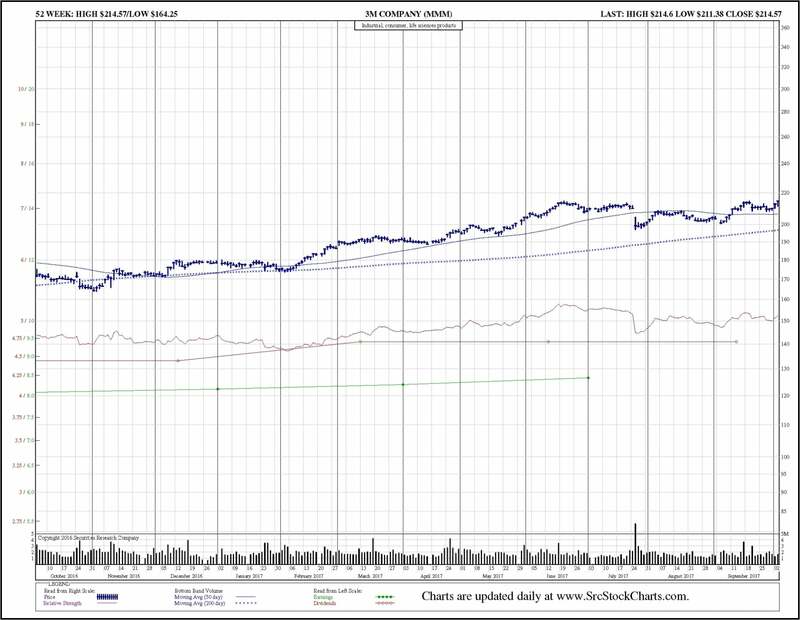 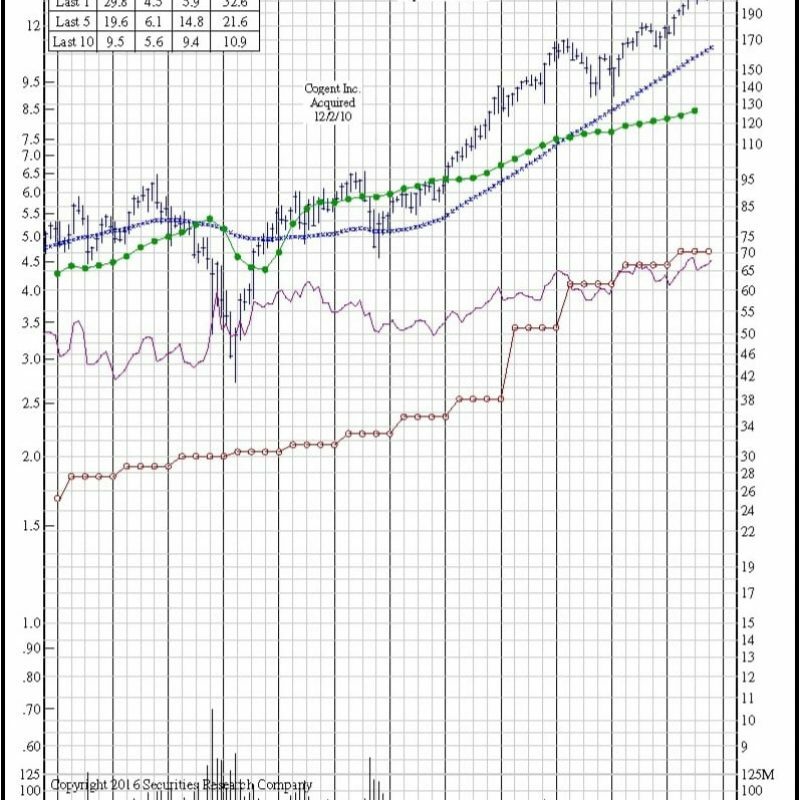 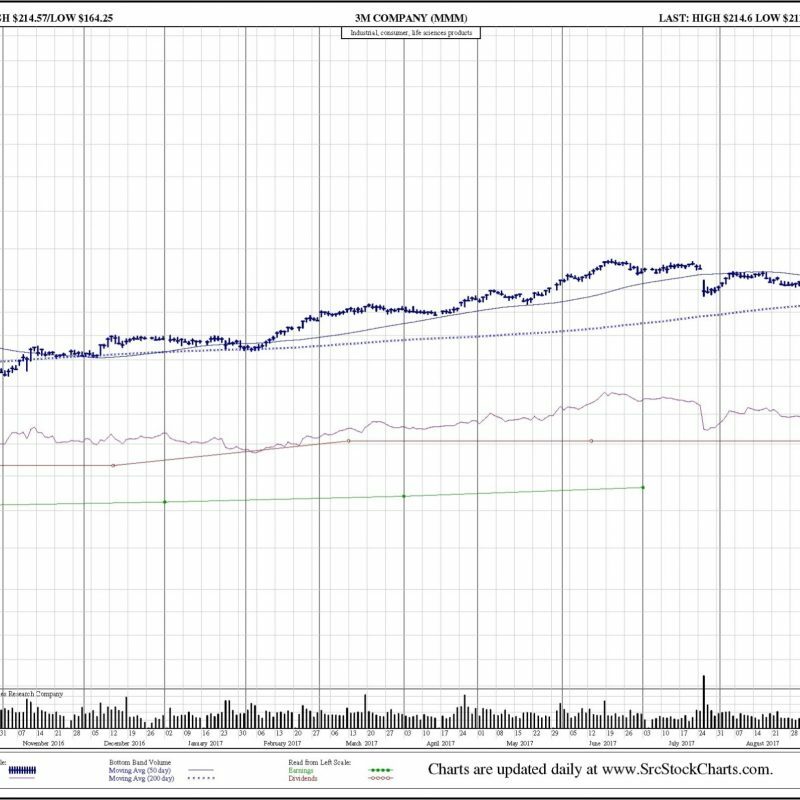 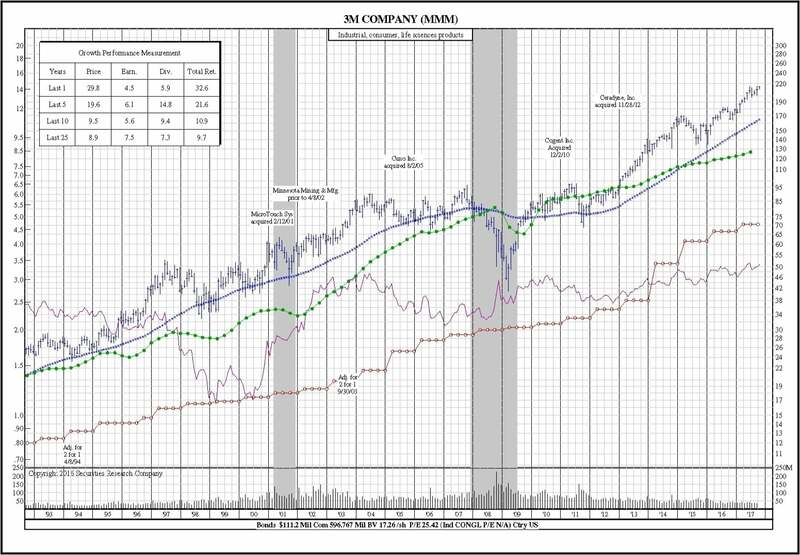 Each stock chart graphically traces the monthly price ranges, relative-to-market performance, 48-month moving average, trading volumes, plus earnings and dividends. 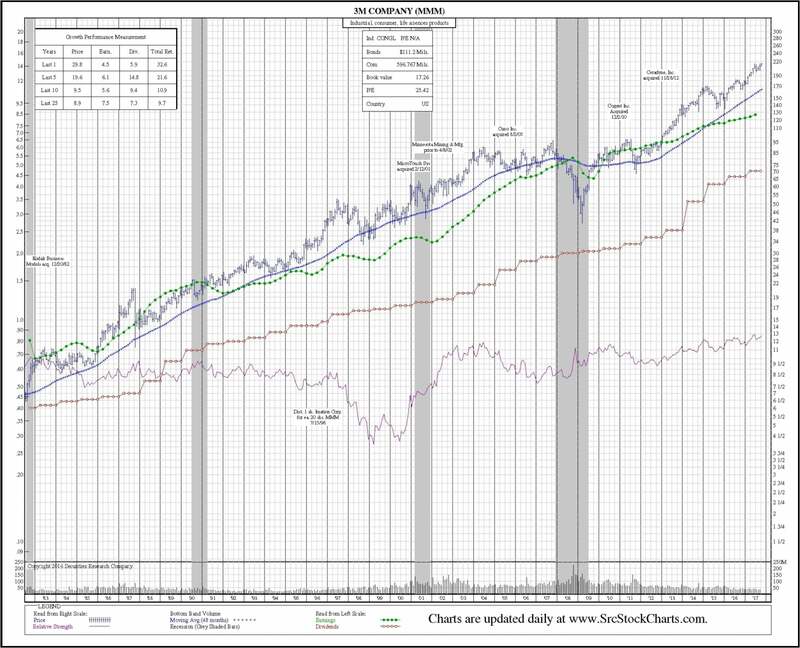 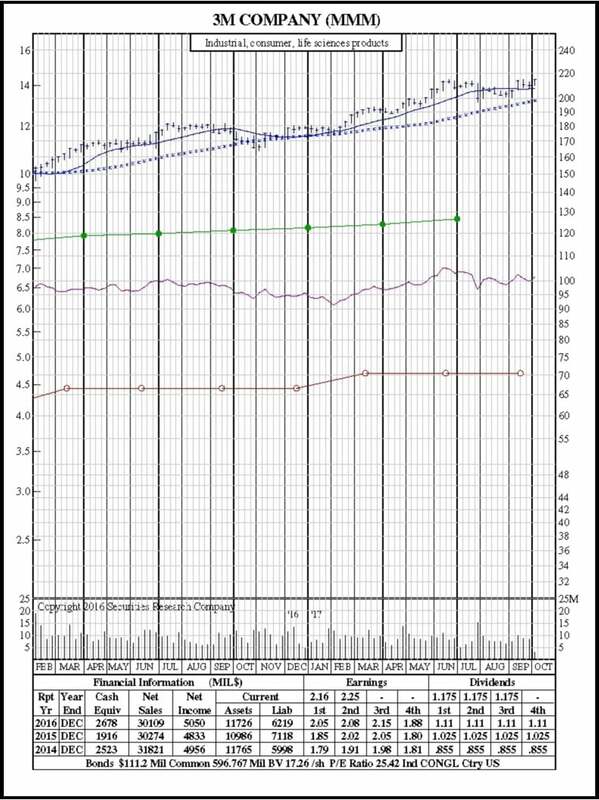 In addition, all data has been fully adjusted for stock splits and dividends. 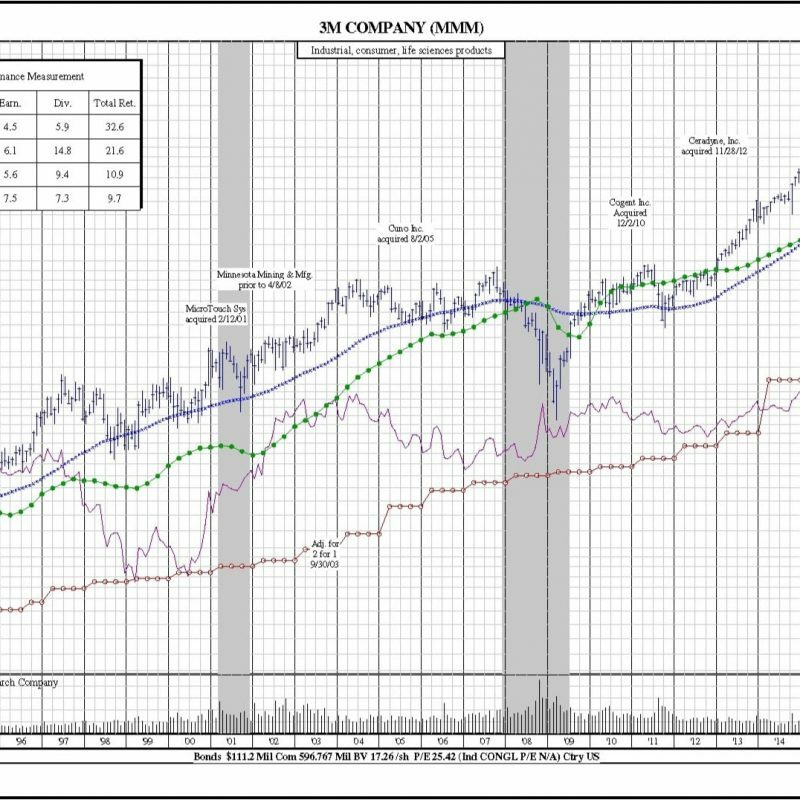 Key events in the company’s history are noted. 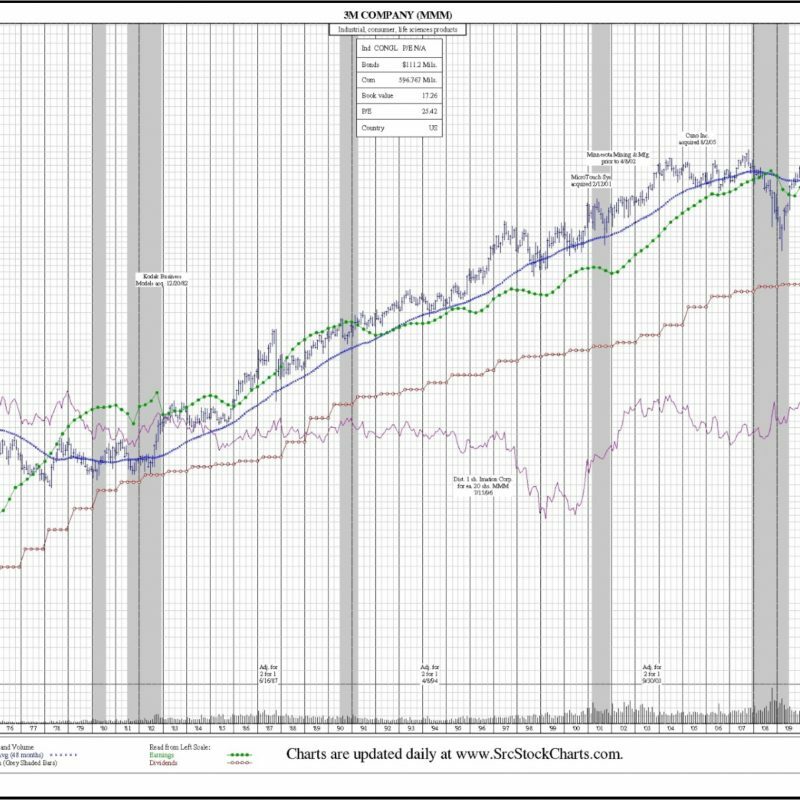 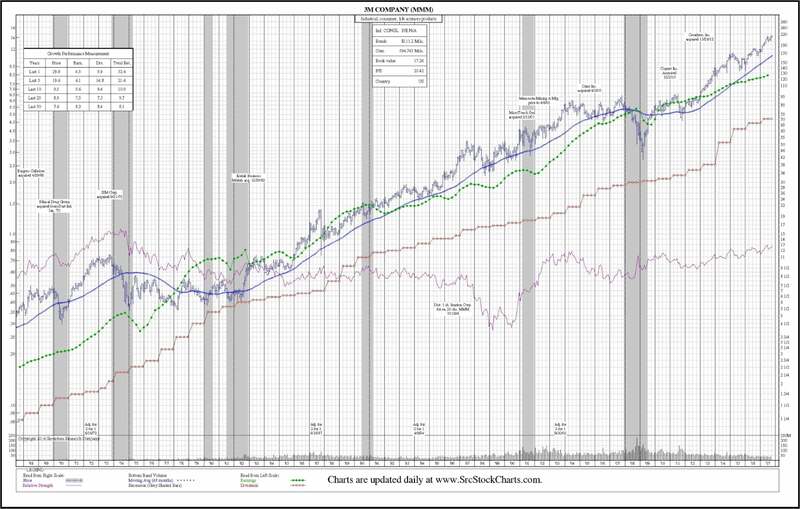 Recessionary periods are shaded grey on the long-term charts.